Thank you to author and illustrator Debbie Ridpath Ohi for this fascinating interview with author Jo Knowles. This article previously appeared on Debbie’s website, Inkygirl. I’ve been a fan of Jo Knowles ever since reading Lessons From A Dead Girl and even more so after See You At Harry’s (Candlewick, 2012) plus I love her fun and positive tweets from @JoKnowles on Twitter. I’ve also heard great things about Jo’s Pearl and Jumping Off Swings, so am looking forward to reading those next! Jo has a master’s degree in children’s literature and taught writing for children in the MFA program at Simmons College for several years. Some of her awards include a New York Times Notable Book of 2012, Amazon’s Best Middle Grade Books of 2012, An International Reading Association Favorite 2012 Book, an SCBWI Crystal Kite Award, the PEN New England Children’s Book Discovery Award, and YALSA’s Best Fiction for Young Adults. Jo lives in Vermont with her husband and son. Her next book, Living With Jackie Chan, a companion to Jumping Off Swings, will be available September 2013. Q: What’s your writing process? 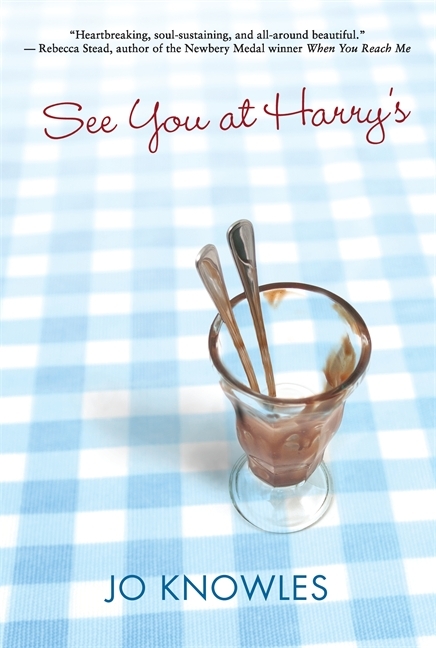 What was your writing process for SEE YOU AT HARRY’S? So far for all of my books, I’ve just started writing and discovered the book as I went. Not surprisingly, my first drafts are big messes. 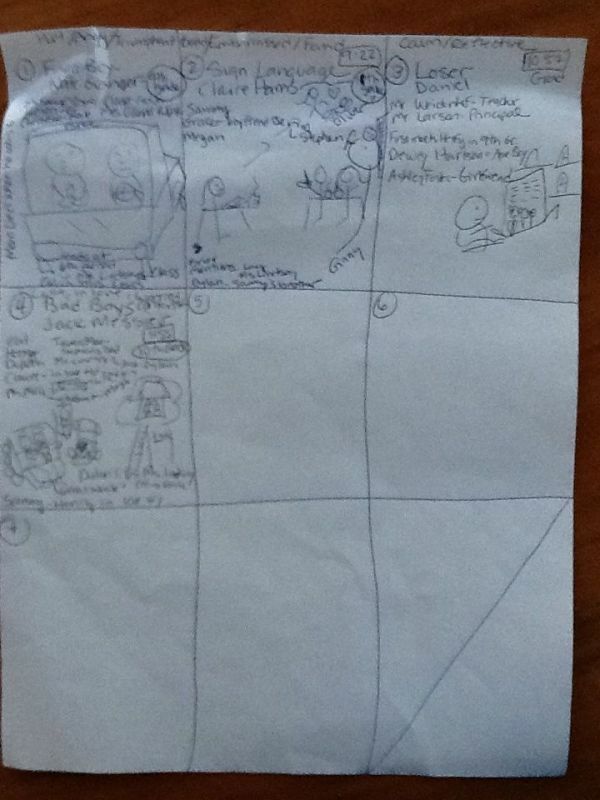 After I clean things up a bit and have a basic rough draft, I create a storyboard to help me get organized and figure out the themes, plot and rhythm of the book. Part of a storyboard series from READ BETWEEN THE LINES, Jo’s newest project. Remember that getting published is not a race. I recently read a blog post by someone who had taken three years to sell her first book, referring to her journey as “The Long Road to Publication.” Long road? Three years?? Oh my. If you want to be an author, you need to take time to learn the craft and learn it well. Read a thousand picture books. Study the rhythms of your favorites. Type out the text and close- read it without the pictures. Pay attention to the types of details that are in the text versus the ones that are implied or easily and more effectively shown in the illustrations. The next step is to learn how to revise. To learn how to listen to feedback and make the best use of it. I can’t tell you how many aspiring writers I’ve met who have told me they didn’t want feedback because they felt their work was as polished as it could get. But they hadn’t shared it with anyone but family members! One of the hard lessons I learned when I first started out was that I really didn’t understand what revision meant. When an editor suggested a revision without a contract, I happily addressed the changes she proposed, but not to the degree I should have. I tweaked, I didn’t revise. There is a very big difference. There is just so much to learn and so many early mistakes to be made when you’re first starting out. It’s worth it to take your time and get lots of feedback from other writers (and make those mistakes with them, not an agent or editor). Not only that, you will develop some wonderful relationships and create a community–a support network–which will be invaluable when you DO start submitting. I am as impatient as the next person, but for new writers, I can’t emphasize this enough: Please don’t treat the time it takes you to get published as a race, or measure your journey against someone else’s and use that as a marker for success and failure. Instead, think of your journey to publication as a travel experience to savor. The more you learn, the more people you connect with, the better prepared you will be for your final destination. And the more people you will have to celebrate your success with! I’m currently working on two projects. One is a contemporary YA novel called READ BETWEEN THE LINES. After writing JUMPING OFF SWINGS I swore I’d never write another book with multiple points of view, so naturally this book has ten. It’s kind of a “day in the life” sort of story about how each character’s actions affect the next. 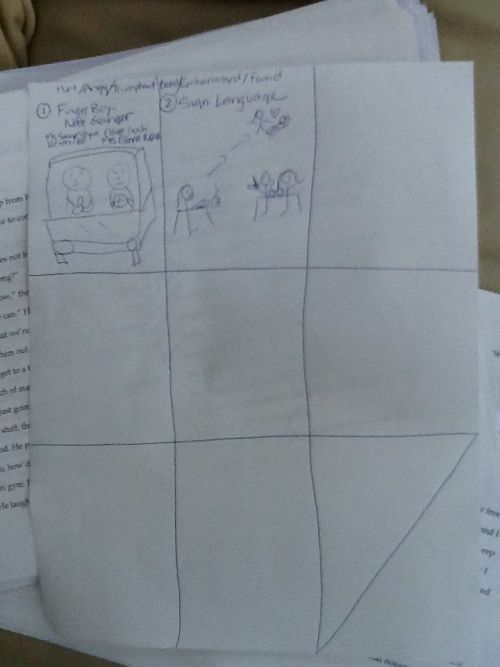 While I wait for my editor’s comments on that, I’ve started a humorous middle grade/tween novel tentatively called FROM THE COMPLAINT BOX, about a boy who goes to a funky independent school and the adventures/mischief he gets into with his two best friends. When I told my agent I was writing something funny he said, “That’s how you described SEE YOU AT HARRY’S and it made everyone weep!” So, he’s suspicious. We’ll see!